While President Barack Obama is hearing calls to regulate gun violence nationally through an executive order, some institutions may soon see themselves caught in the middle of the ensuring gun control battle. The Denver Museum of Nature and Science had a long-standing policy restricting concealed weapons at the institution. The policy, in effect since 2003, aimed to “restrict the presence of weapons within [the] facility or controlled parking areas” to everyone except those that specifically authorized to carry guns. Last month, the museum dispensed with that policy, a decision museum board members and officials say is in accord with state law. Of course, the officials are right. Colorado requires individuals to demonstrate a basic competence in handling a handgun, but once a resident receives a permit, he or she is able to carry a concealed weapon where allowed. Without any security checkpoints or weapon screenings, the Denver Museum of Nature and Science is one of those permitted areas now. “People ask me what’s the new policy, and I say we’re just following the law. The law is the new policy,” said Ed Scholz, the vice president of finance and operations. The Denver Museum of Nature and Science follows the Denver Art Museum and the Denver Zoo, which have both adopted a similar policy to coincide with state law. 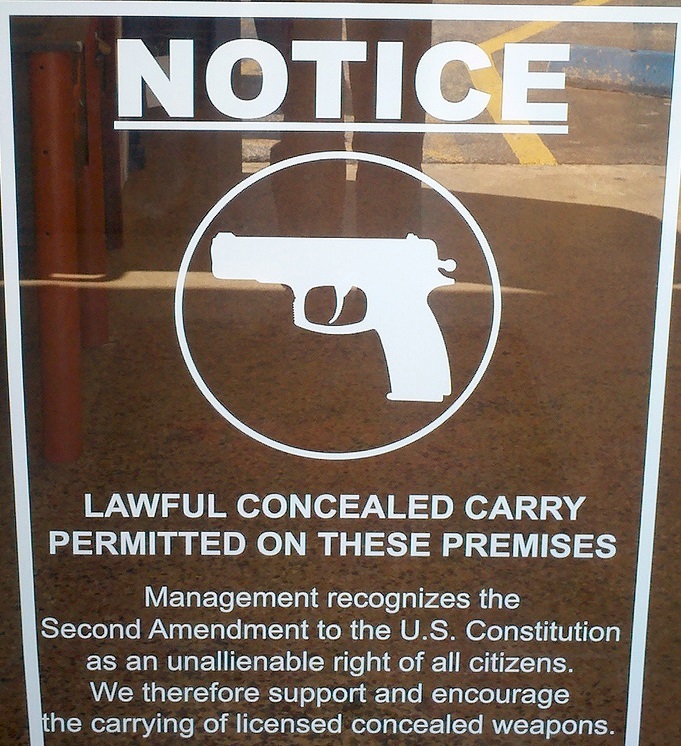 However, encouraging carrying concealed weapons seems to be the very attitude that many gun control advocates, including President Obama, are attempting to change. Following the recent shootings, President Obama has had the opposite reaction—to try and make gun laws more restrictive. With the mindset that reducing gun violence may potentially define his last year in office, President Obama is planning on issuing an executive order that places greater restrictions on who can obtain permits and guns from sellers. Frustrated by the evident stalemate over gun control in Congress, President Obama is taking the administrative authority to go over legislators’ heads, a mud fight we’re already seeing in the media. While the phrase “thoughts and prayers” has been so satirized as to make it unusable by politicians, the hypocritical and cynical practice of deflecting by trying to throw the attention onto mental illness in the wake of mass shootings is still very much with us.